The Orfitube adjuster kit puts you in full control of longitudinal and lateral position of Orfitubes. 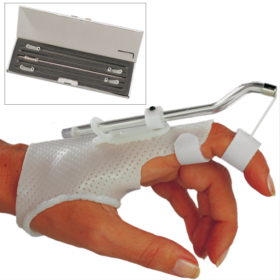 The compact design allows you to fix one individual adjuster for each finger. The adjusters are elegant, lightweight, very cost-effective.